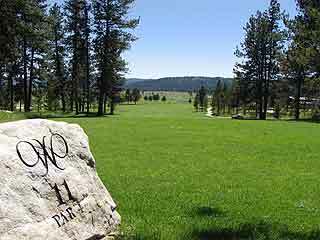 This two-time Andy North designed course in McCall is truly a mountain masterpiece. 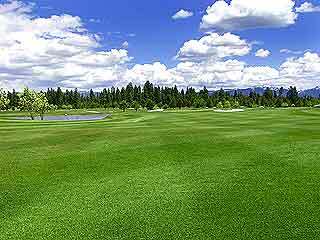 From dense forests and wide open meadows, the course features amazing landscaping, checkerboard fairways and white sand bunkers. 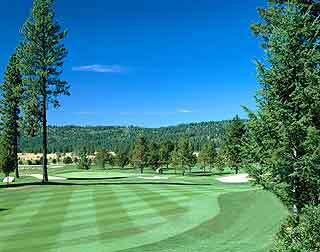 Spring through fall, Whitetail is one of the Pacific Northwest's best-kept secrets as a premier golf destination. 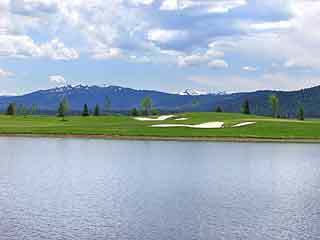 With awe-inspiring views of Jughandle and Council Mountains, Whitetail's 18-hole Championship Golf Course is the very definition of a high end mountain course. Whitetail is semi-private, but available to our guests staying at Shore Lodge. 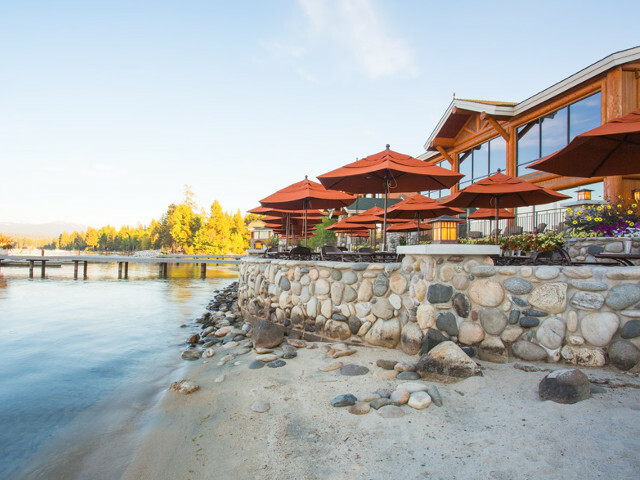 These lakeside accommodations are simply the best in McCall. 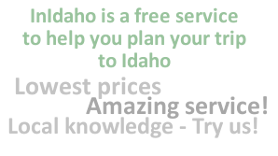 Directions: Located on Payette Lake just two hours North of Boise. 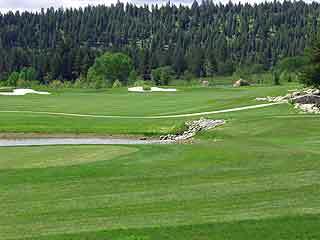 We do not have any current pre-built packages for Whitetail Club Golf Course . 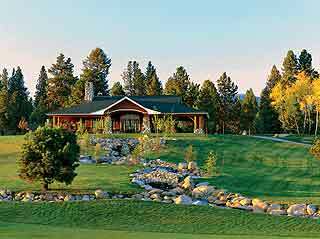 This is a private course for owners and lodging guests. 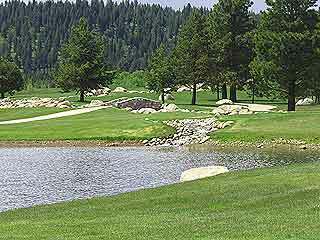 Designed by Roger Packard and Andy North, this course has exceptional playability and a spacious hole layout. 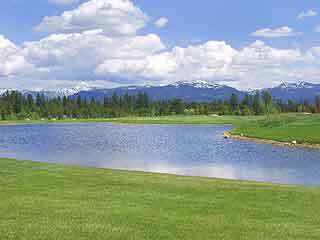 This 7,012 yard course is a par 72 with many 360 degree views of surrounding mountains, high mountain meadows, and wildlife. 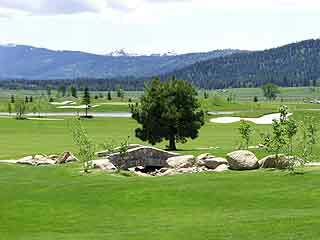 Practice facilities include a driving range, putting green, and practice bunker. 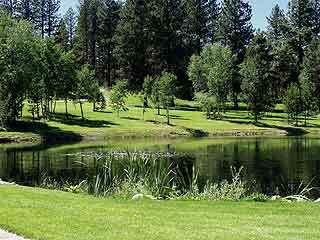 Guests and members of the Whitetail Club (the Shore Lodge) have access to the semi-private Whitetail Club Golf Course. Please note: Guest reviews may mention certain amenities that may no longer be offered with Whitetail Club Golf Course. Please check the amenities prior to booking to confirm. "We had the entire course to ourselves. 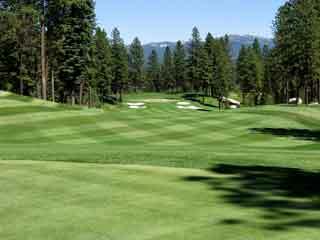 From the tips, it is easy to see why this is a Golf Digest Top 100 well worth the money for some of the very best gold around." 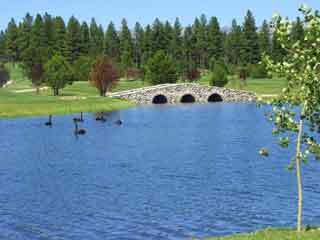 "Beautiful course and facility. Watch out for the rough!!" 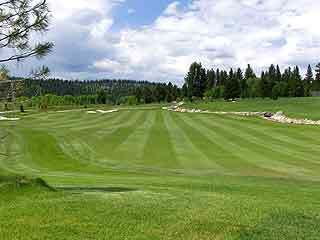 "A good golf course and well managed. Among those on the tour it would be in the top quartile."